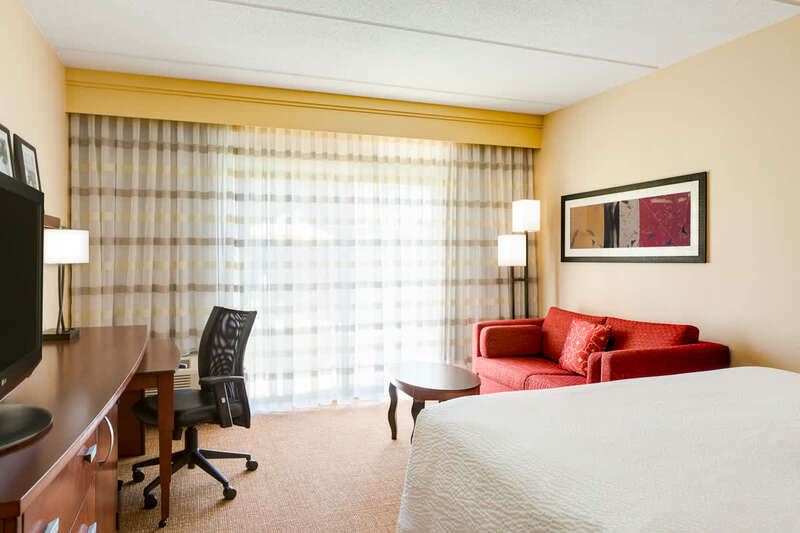 The renovated Courtyard in Raleigh provides an ideal location with flexible work spaces, a high-tech lobby experience and new restaurant, The Bistro. 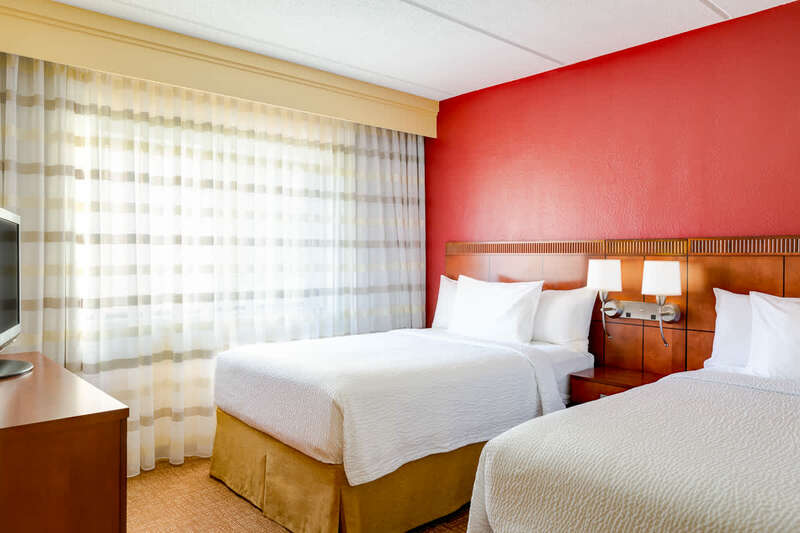 Discover the great amenities and stylishly guest rooms at this North Raleigh hotel. 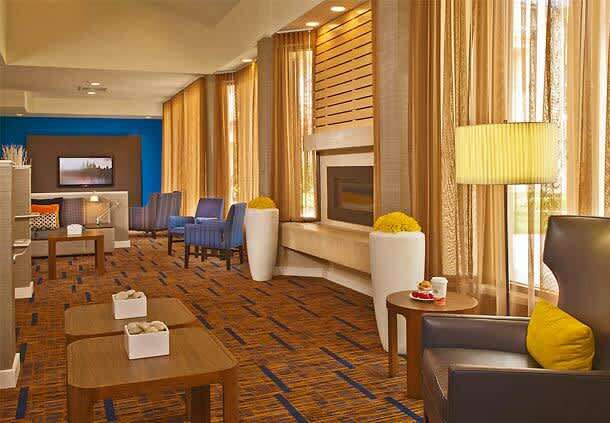 The renovated state-of-the-art lobby at this property provides greater flexibility and choices for guests. 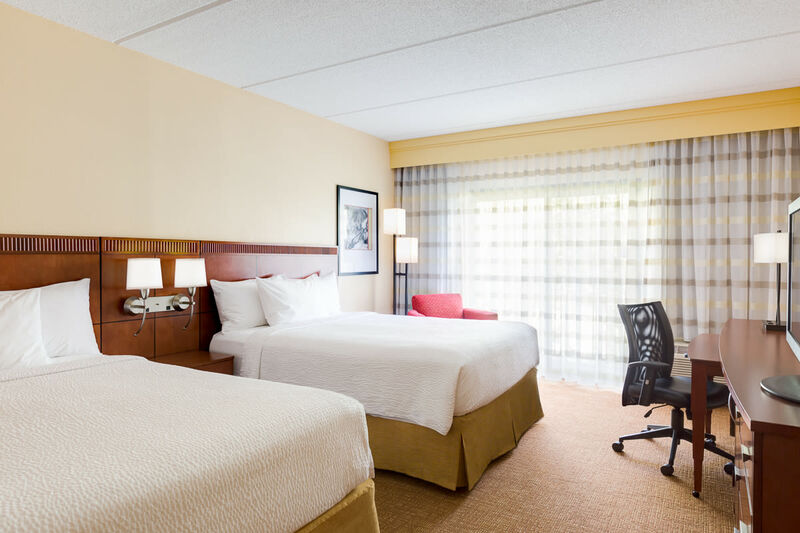 This hotel near Raleigh Convention Center features an updated lobby with inviting, flexible spaces to work or relax in, free WiFi throughout and easy access to the latest news, weather and airport conditions via the GoBoard. The lobby experience includes the Bistro - Eat. Drink. 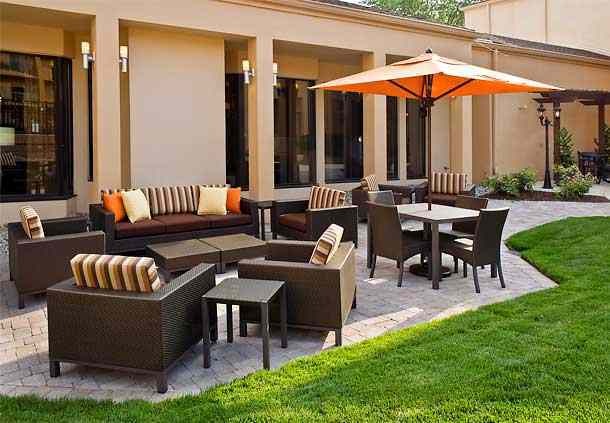 Connect.®, which provides guests with healthy food and beverage in the morning and evening dinner service with cocktails. 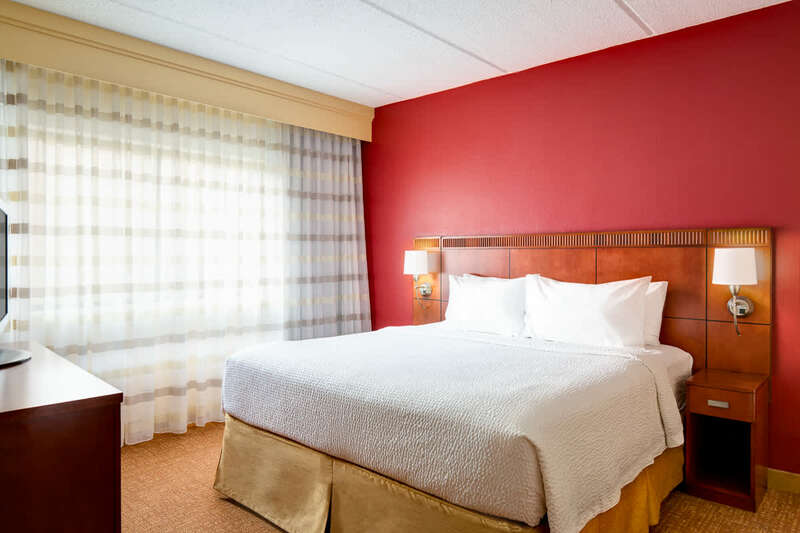 This North Raleigh hotel is conveniently situated along I-440, just minutes from downtown and centrally located near area attractions including: North Hills, Crabtree Valley Mall, North Carolina State University, PNC Arena and 13 miles from RDU International Airport. 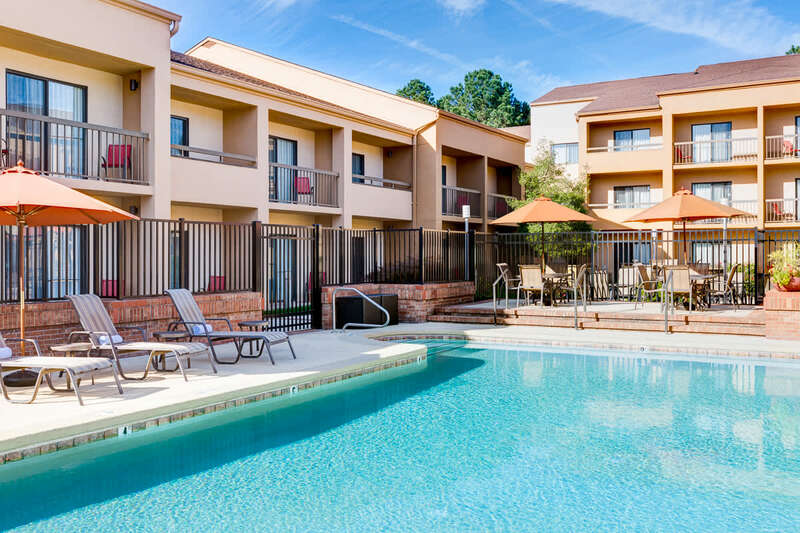 This property offers a boarding pass printing service and a 24-hour business center. 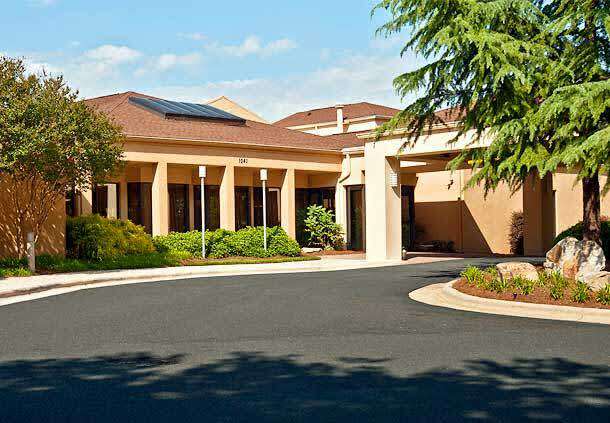 In addition, this hotel is near the Raleigh Convention Center, which has 1,200 square feet of meeting space.